Oklahoma is hoping a proposed Big 12 rule change could restore the year of eligibility that quarterback Baker Mayfield lost when he transferred from Texas Tech. From Dallas Morning News: Baker Mayfield and his father, James, have been critical of the Big 12's decision. 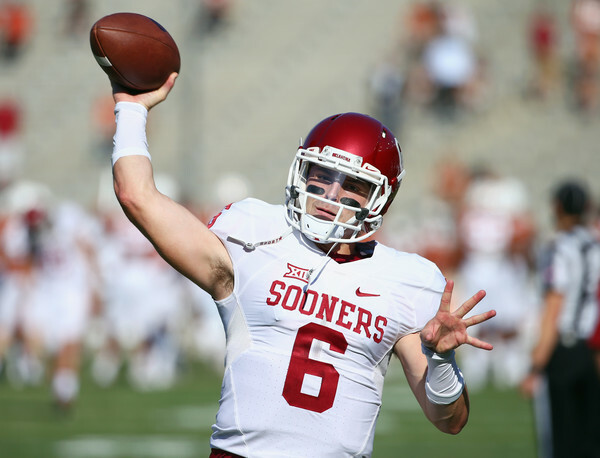 Oklahoma athletic director Joe Castiglione said at the Final Four in April that the school would try to help Mayfield get the year back. But Castiglione says it's not just about Mayfield, calling it a student-athlete request with broader implications. He notes that the rule modification would apply to all non-recruited walk-ons now and in the future, not just Mayfield. Asked if he believes the amendment can pass, Castiglione said he wasn't sure.